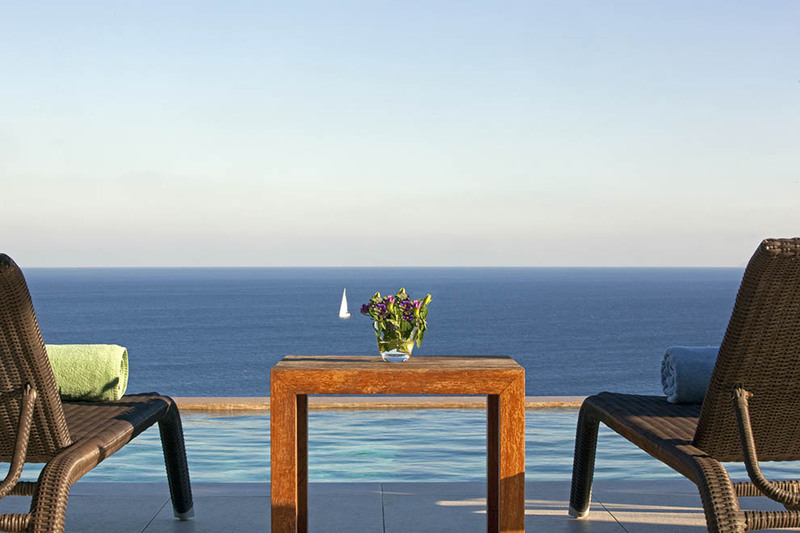 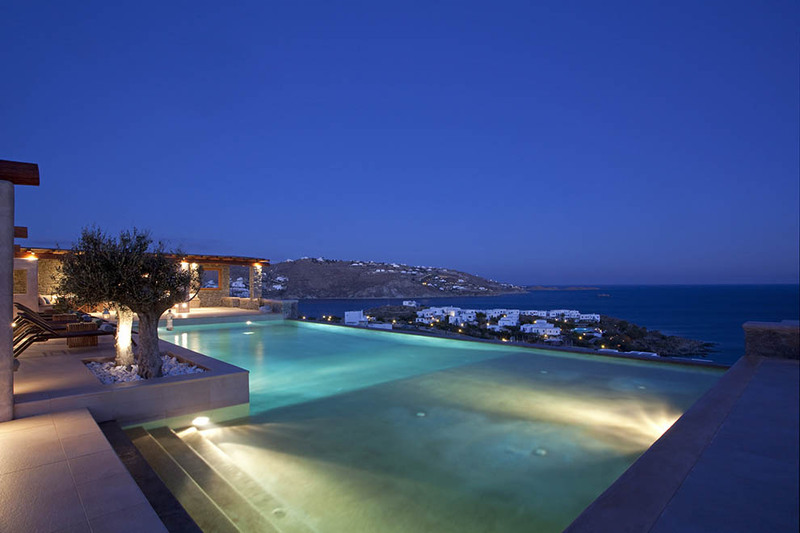 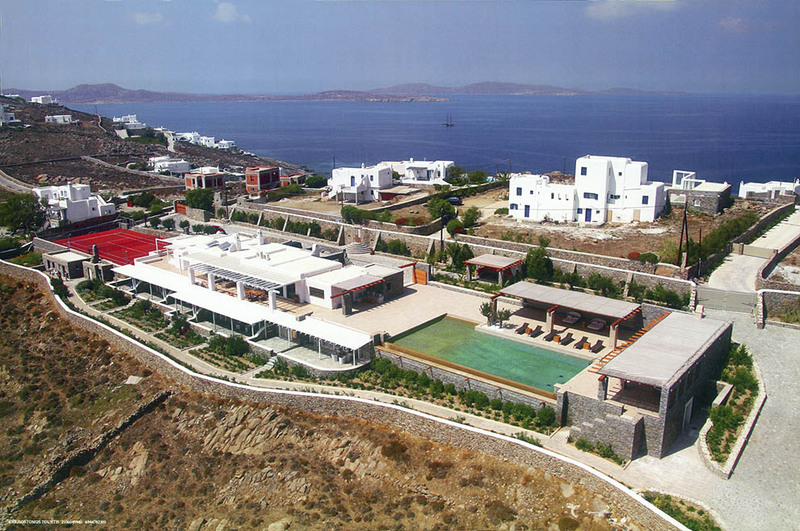 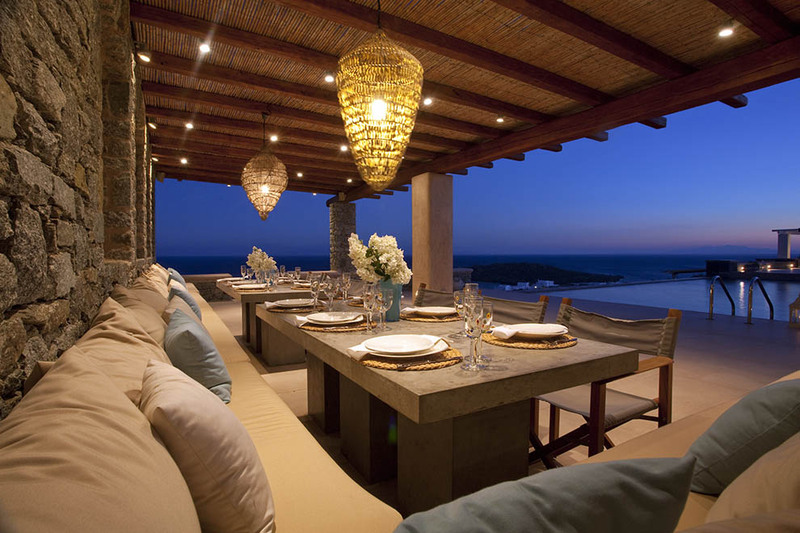 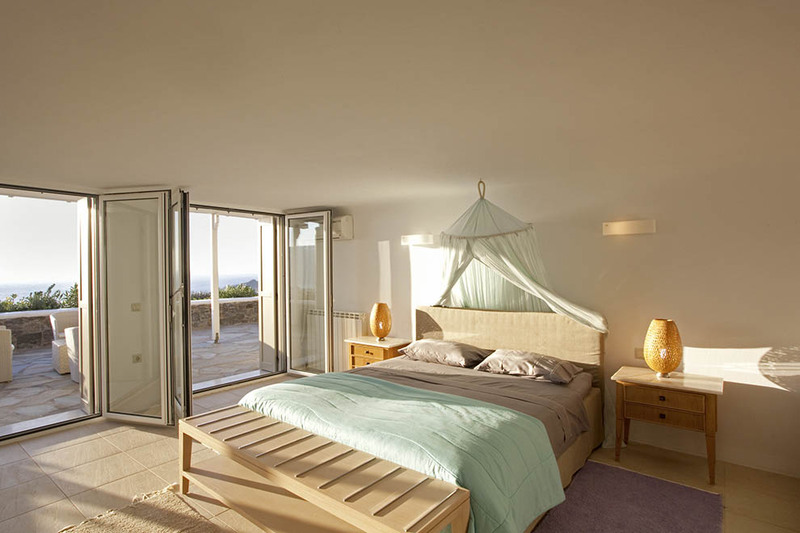 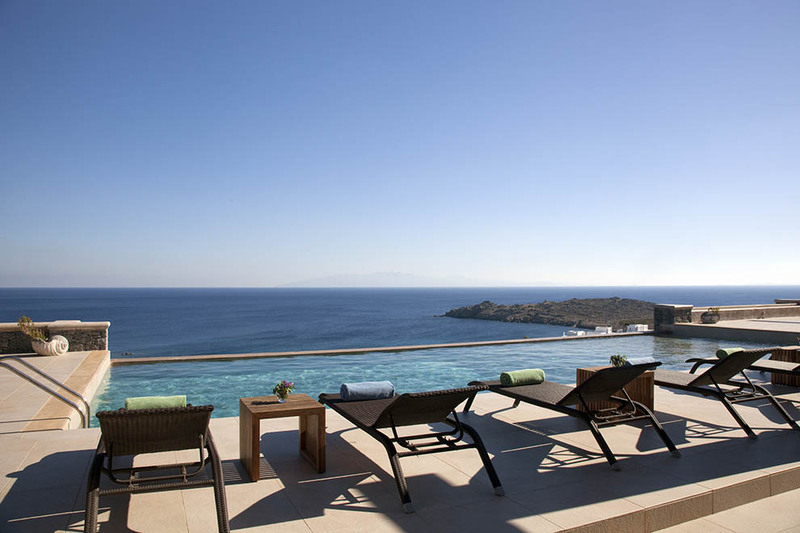 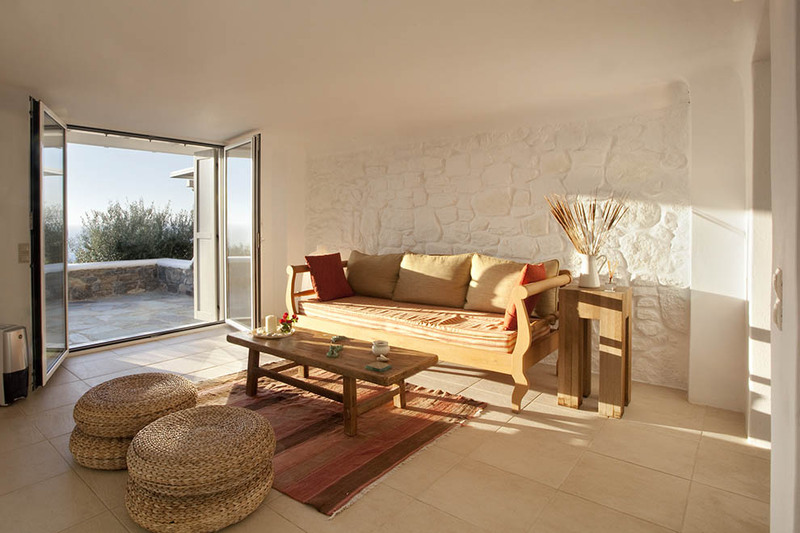 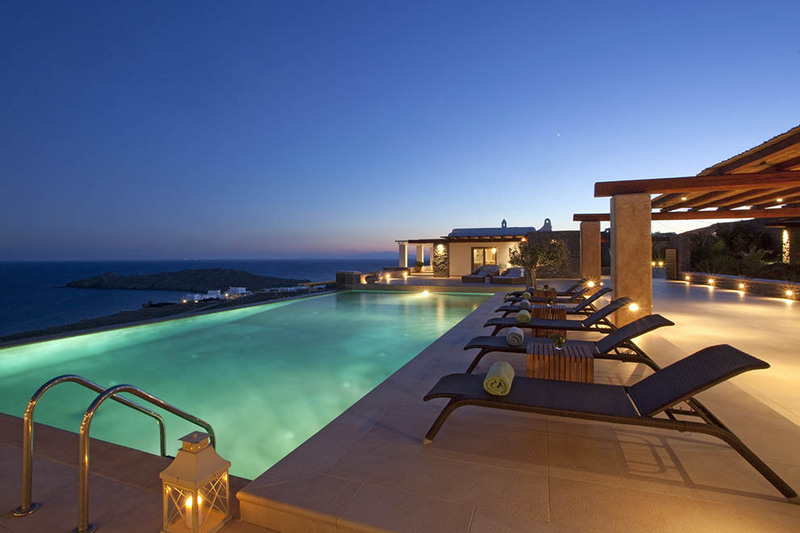 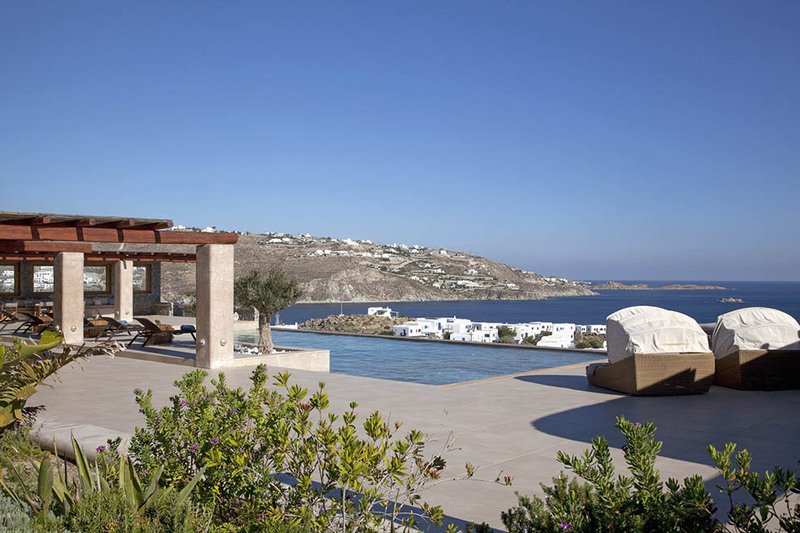 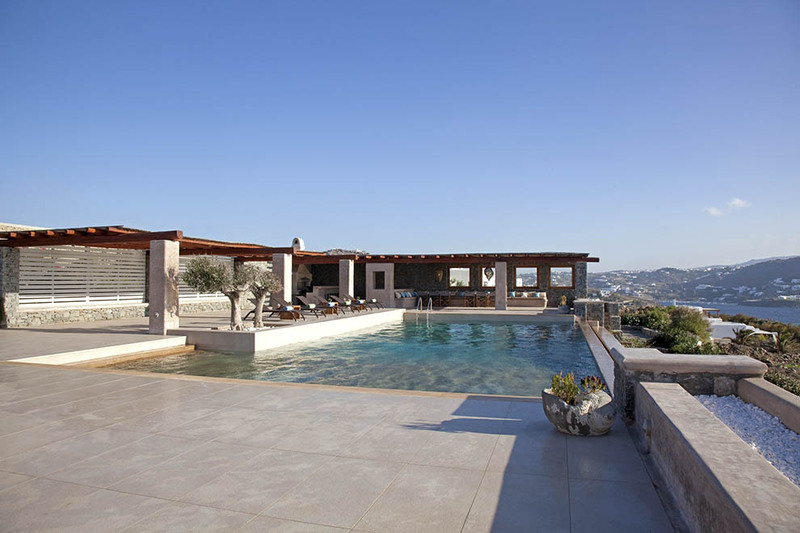 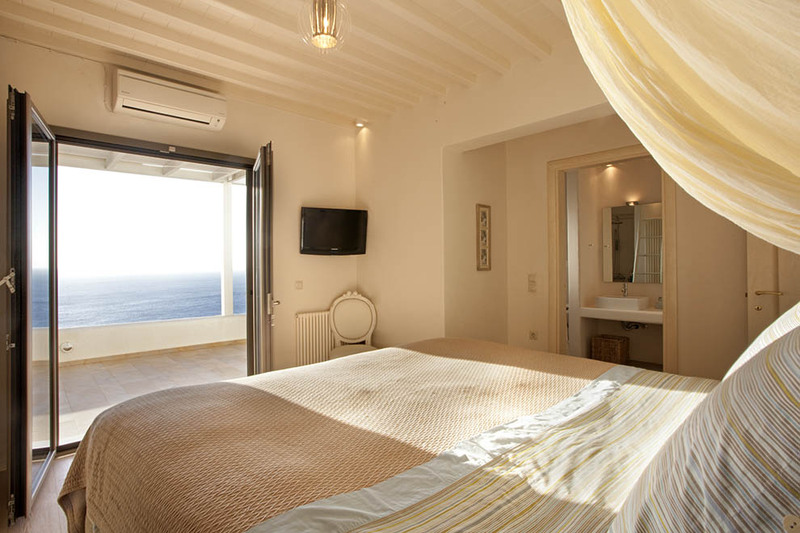 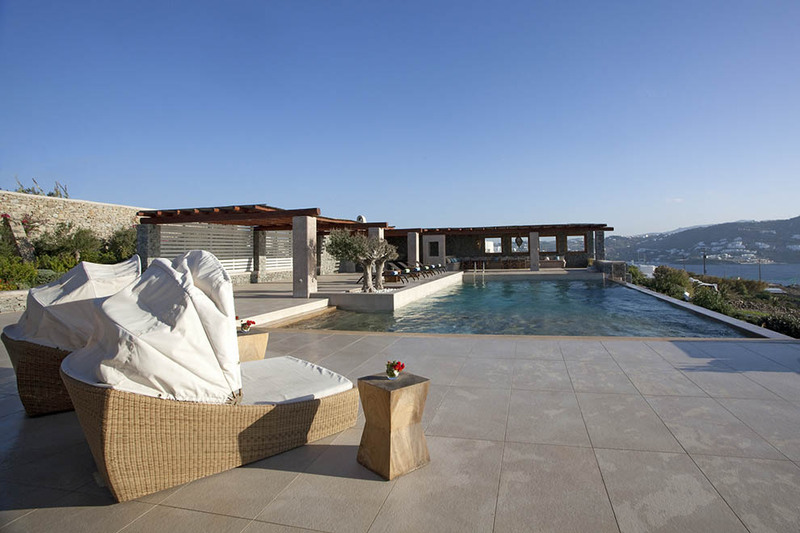 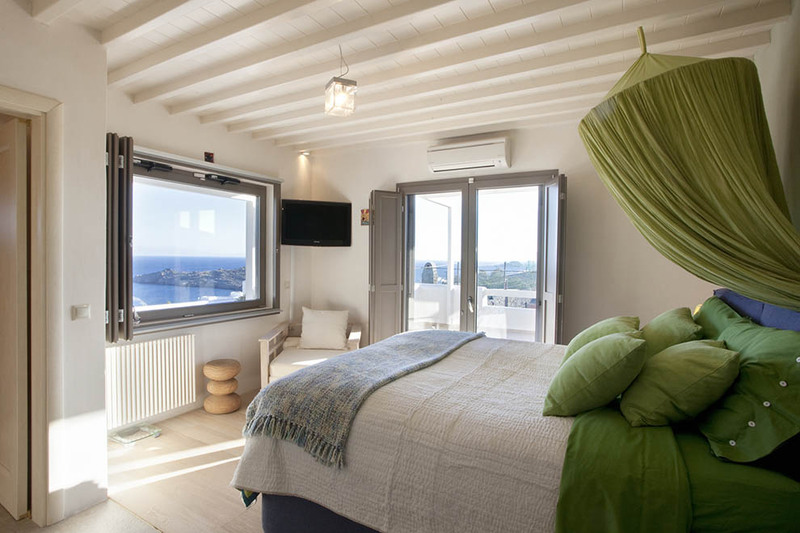 The impressive Villa Estrella is located at the stunning area of Aleomandra in the southern part of the island of Mykonos and enjoys a magnificent panoramic view of the Aegean Sea and the neighboring Cycladic islands, but also both the sunrise and sunset. 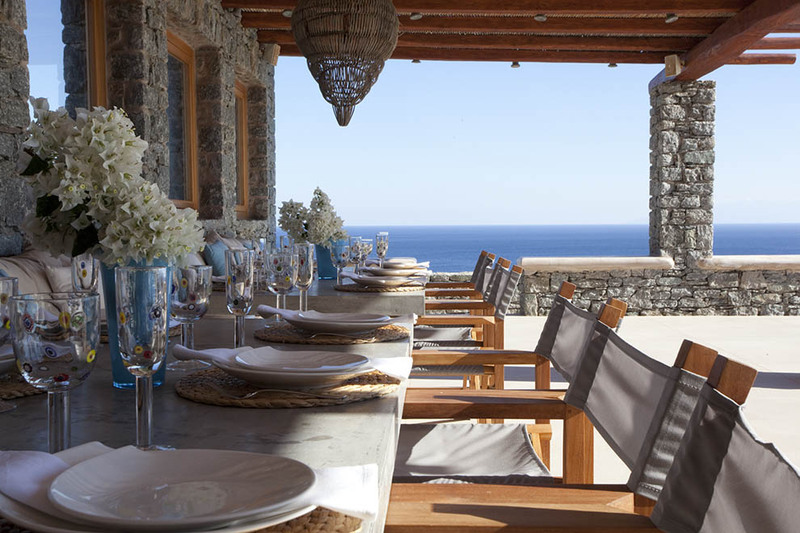 In a walking distance, the tranquil beach of Glyfadi is perfect for everyday dives at the sea and relaxing moments under the sun, while the cosmopolitan beaches of Ornos, Saint John and Psarrou are also in close proximity. 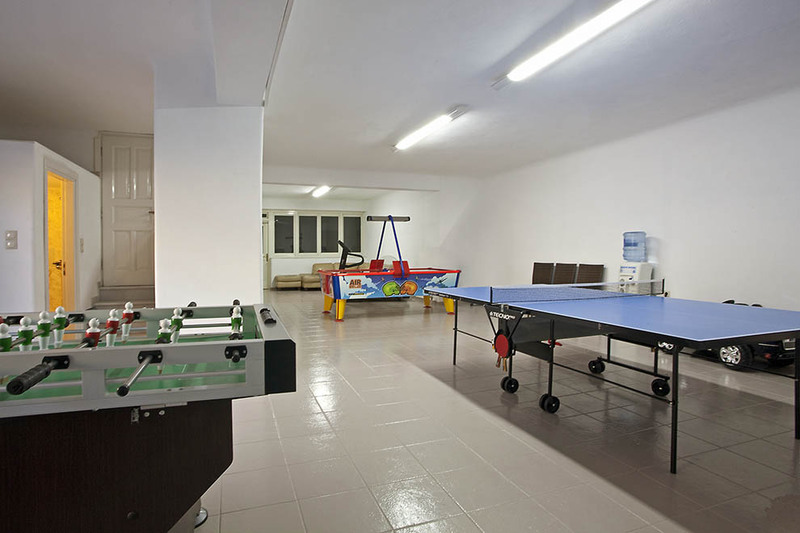 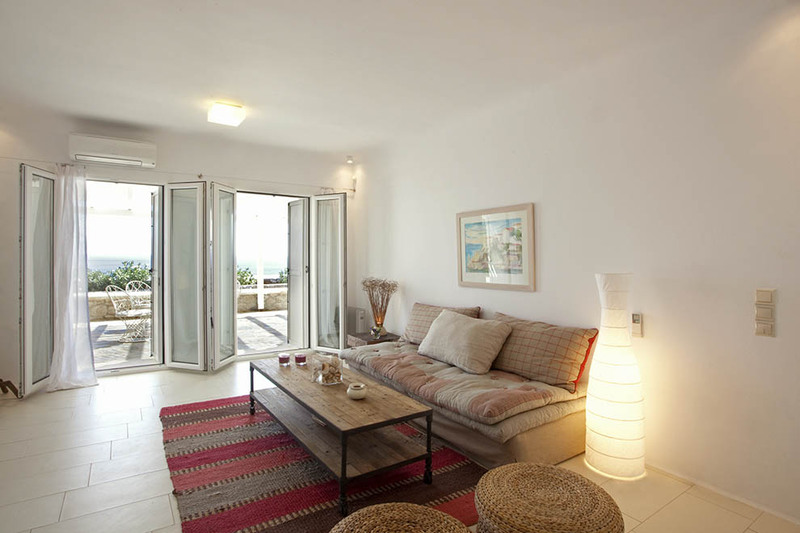 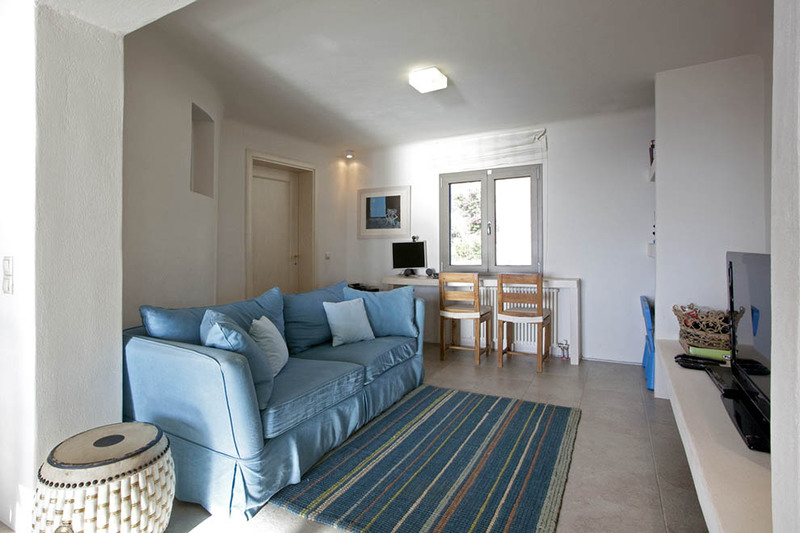 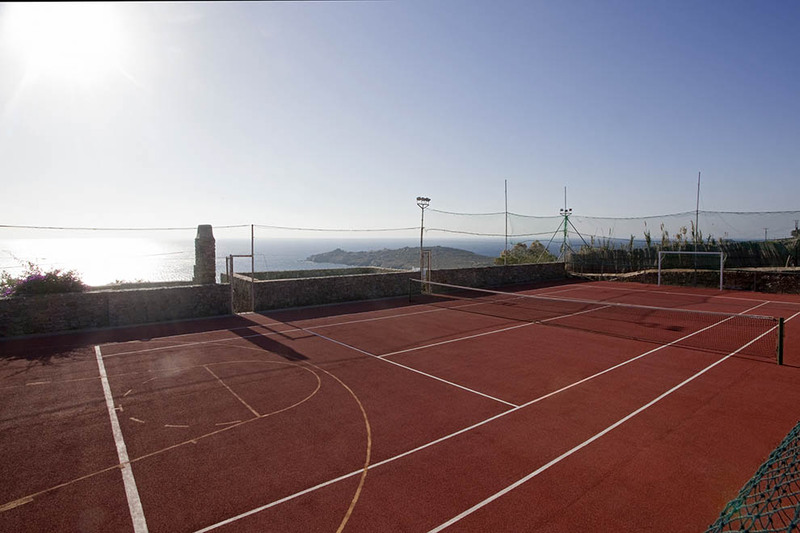 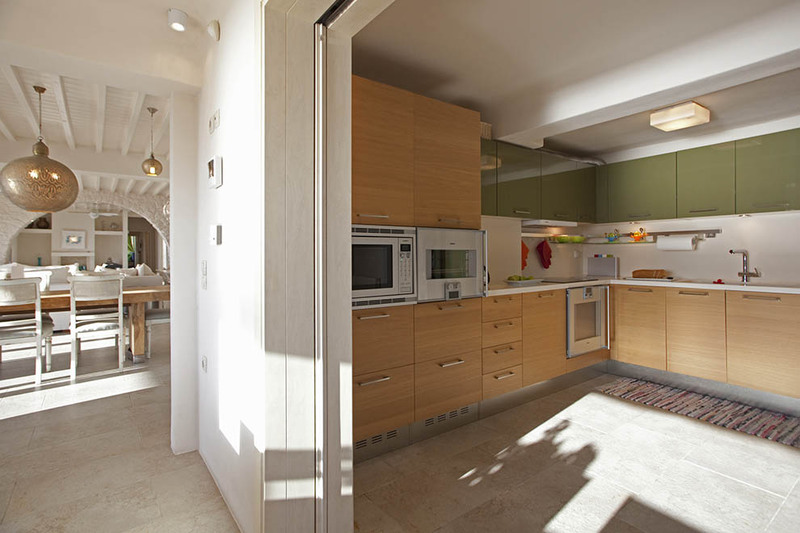 Villa Estrella is developed in two levels: at the ground level you will find the main house with its comfortable sitting room, spacious dining room, fully-equipped kitchen and a fantastic playroom with air hockey, ping pong and foosball facilities along with exercise equipment. 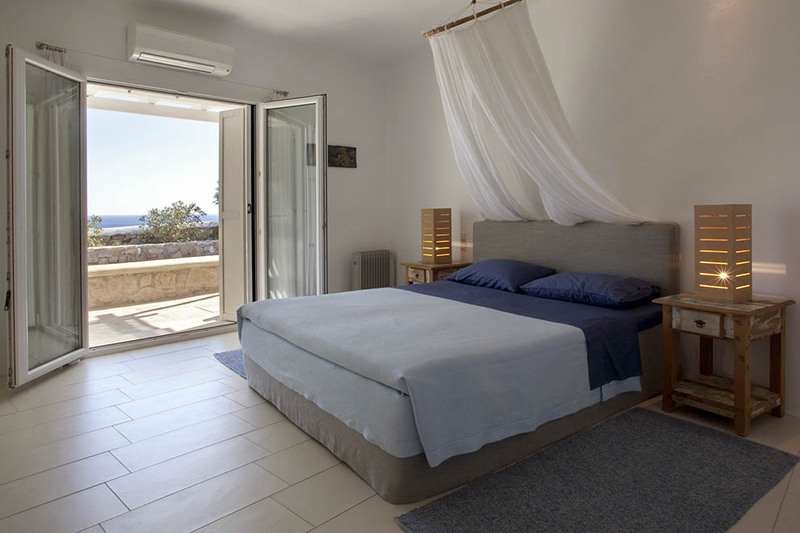 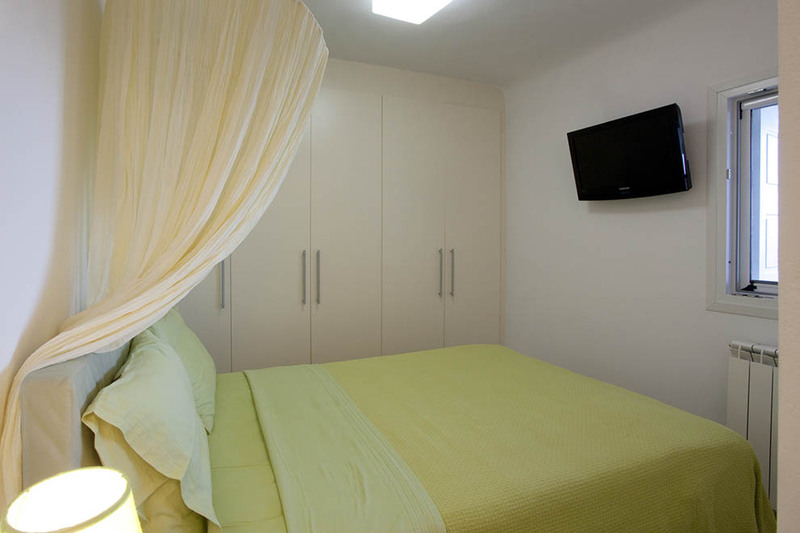 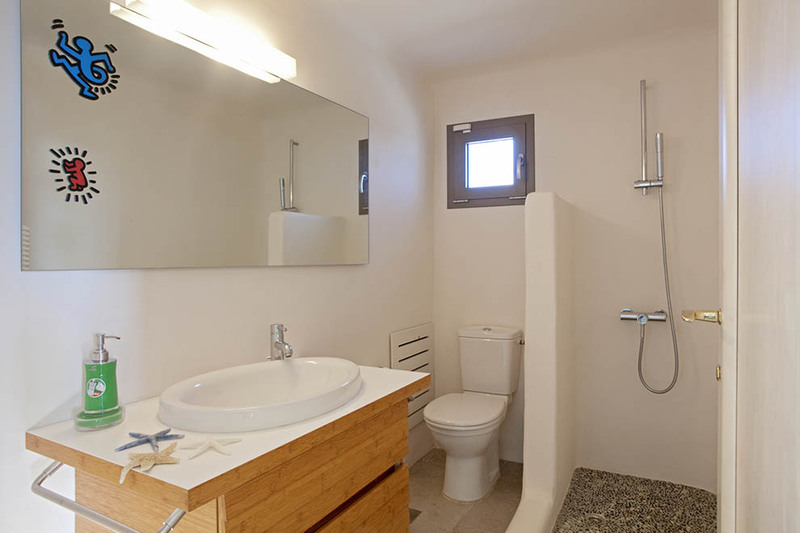 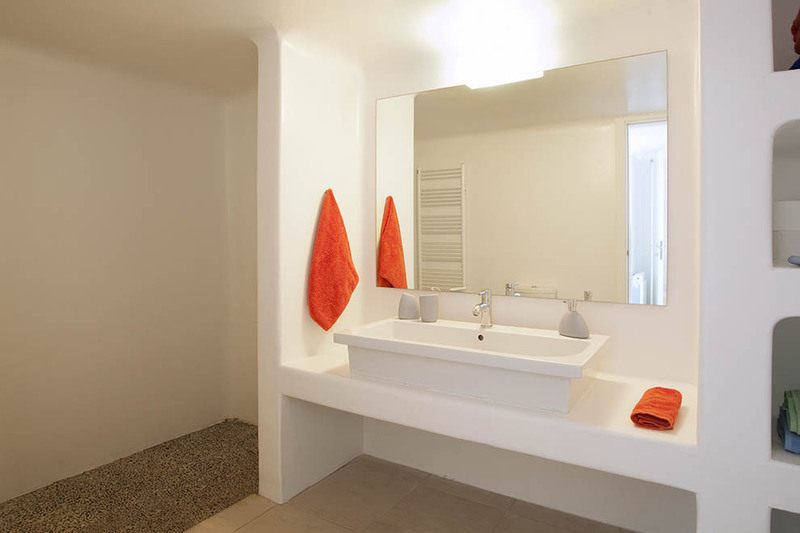 At the upper level you will find a master bedroom of tasteful decoration and unparallel comfort, while the property has also five separate guest houses for greater privacy and independence. 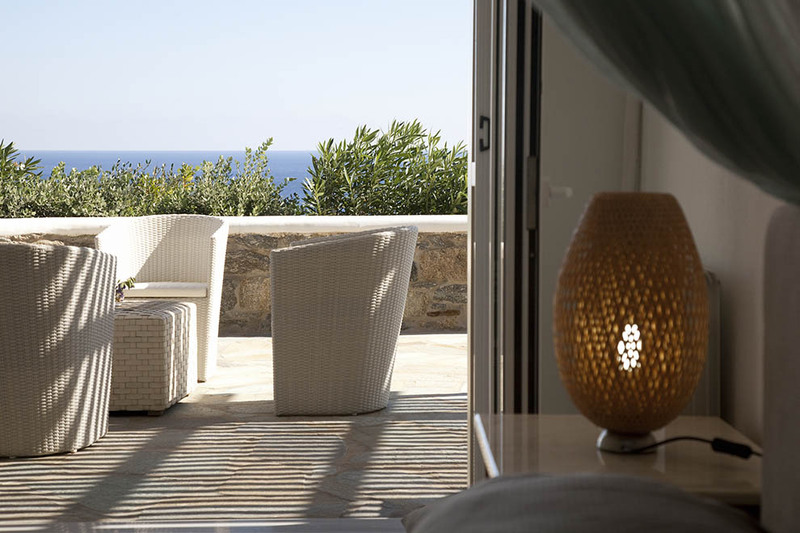 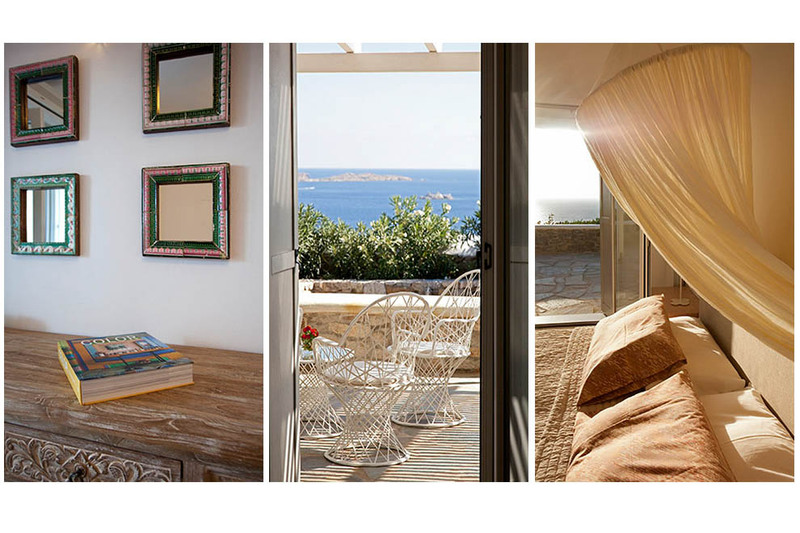 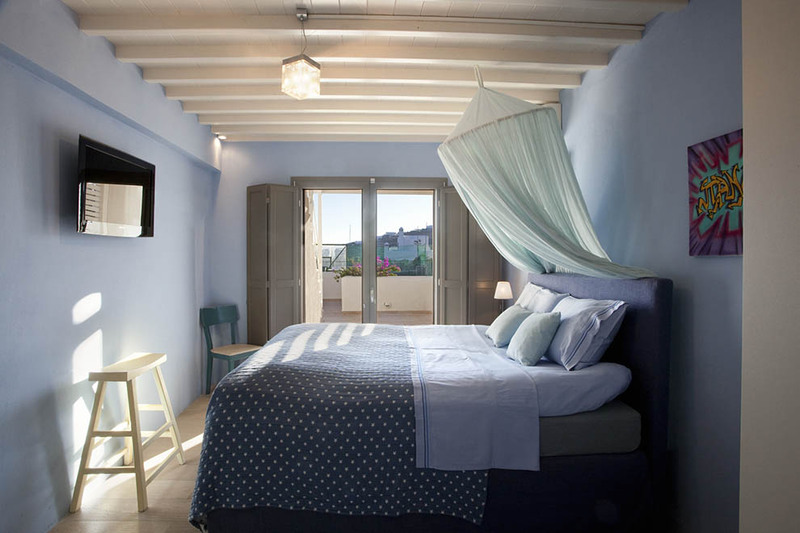 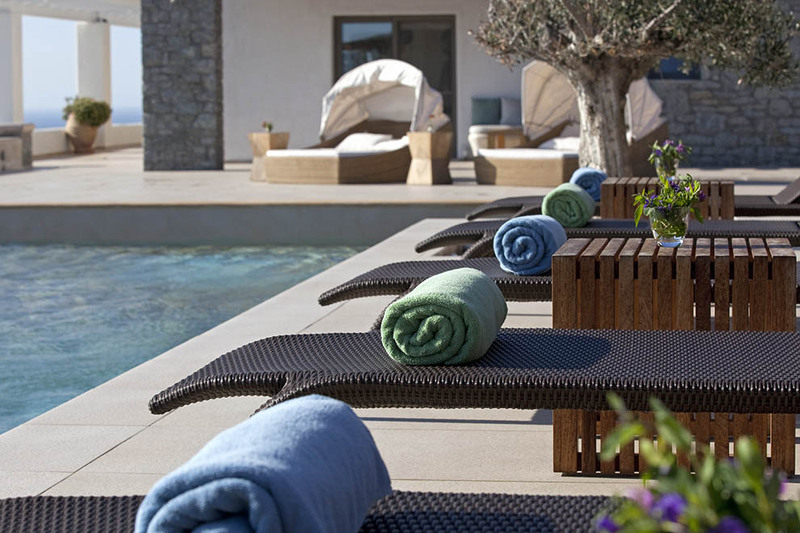 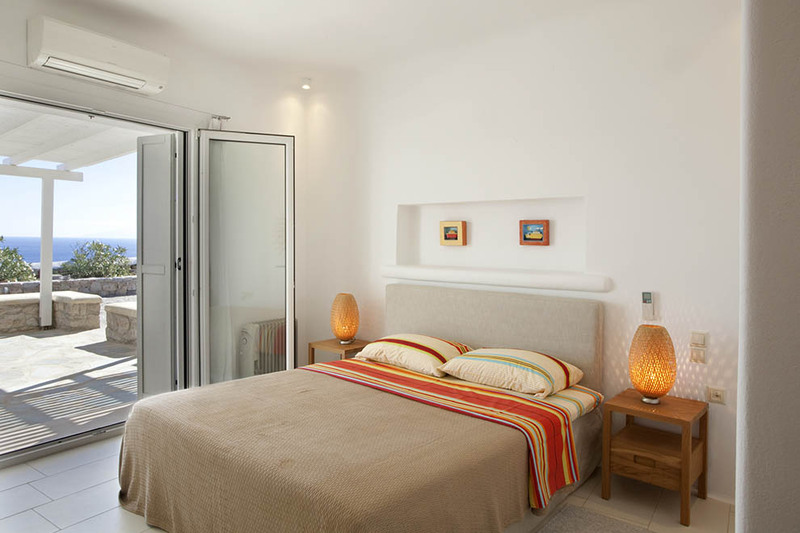 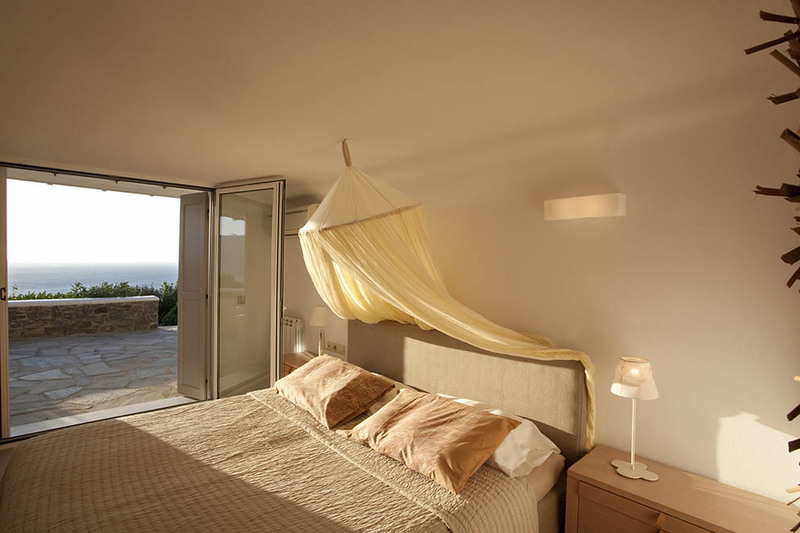 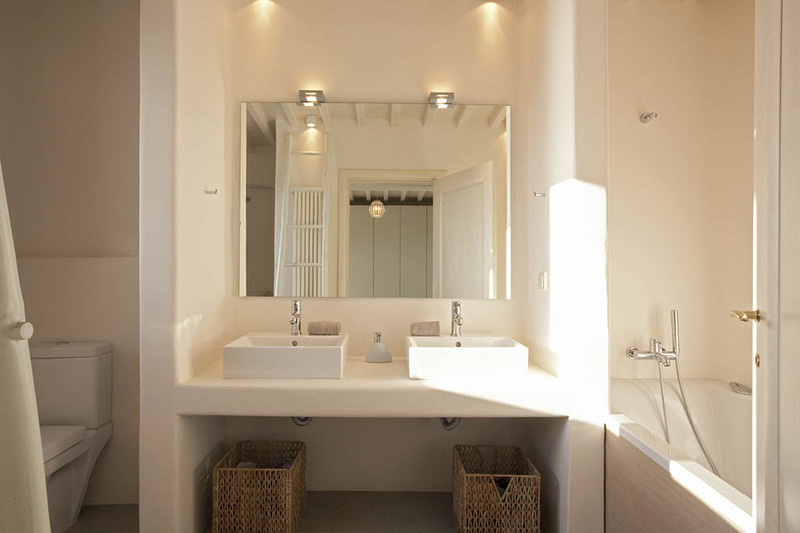 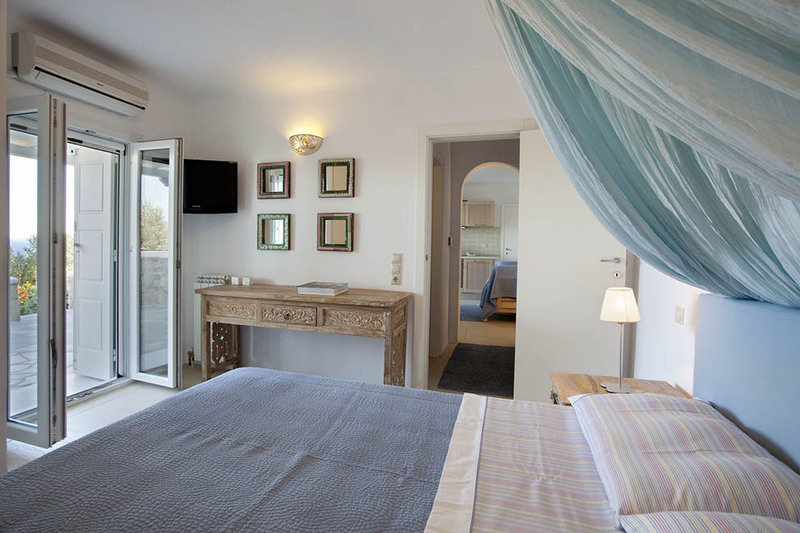 The Mykonos villa is designed with fine lines according to the traditional Cycladic architecture and is decorated with stylish furniture by famous designers and hand-picked works of art. 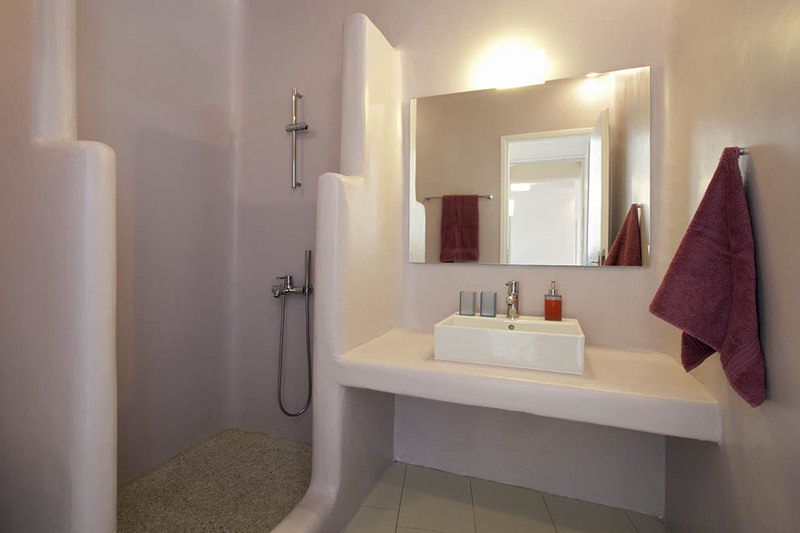 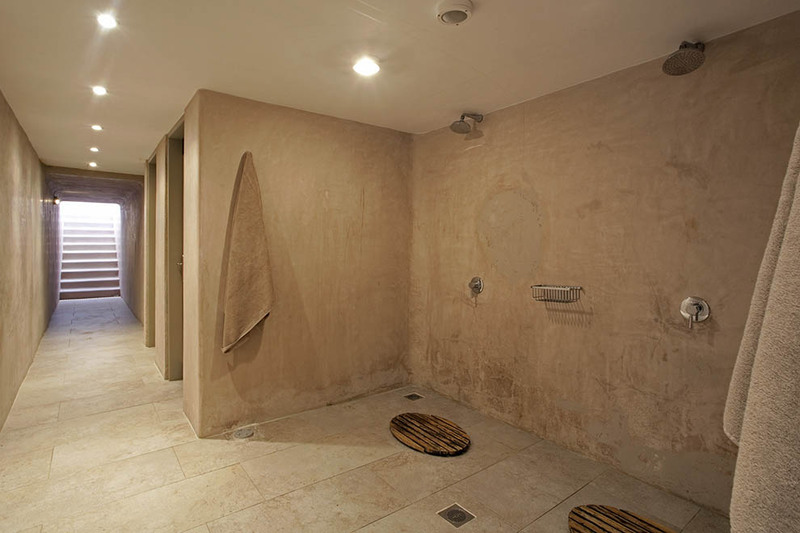 The chosen colors are bright and the materials used are natural. 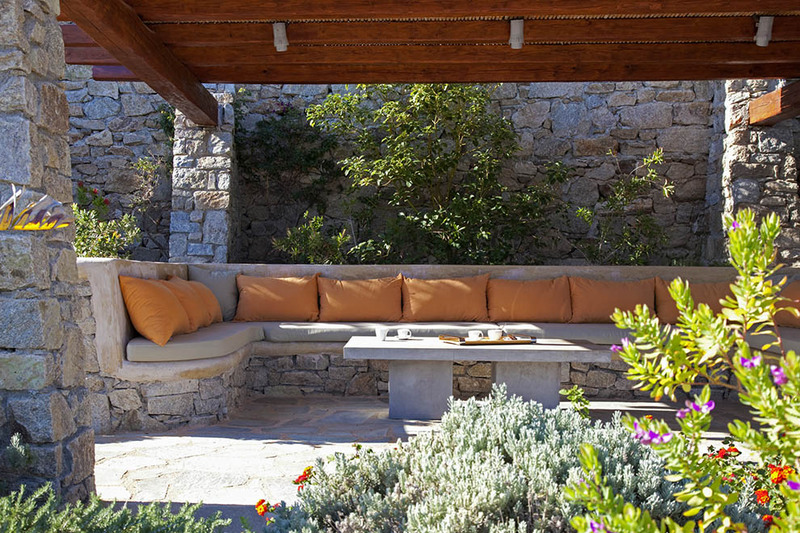 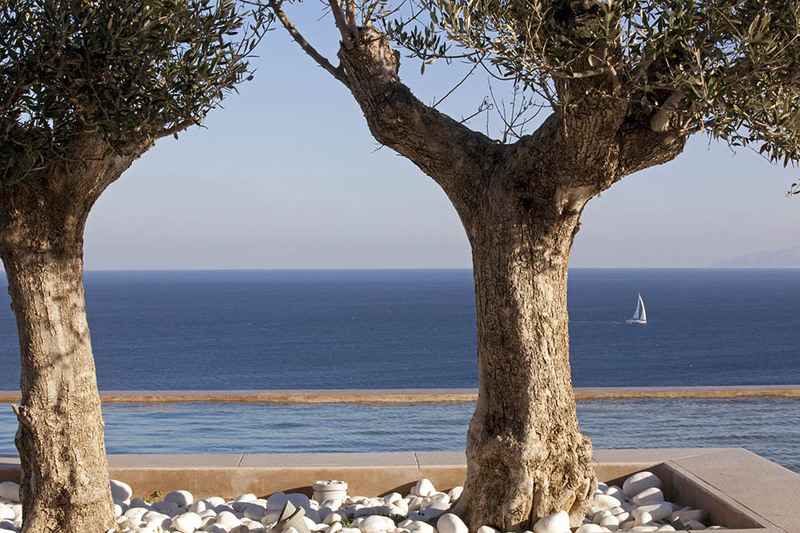 The exterior spaces of the villa are absolutely impressive and very organized; they are comprised of the outdoor sitting and dining areas, a barbeque, a large private overflowing and infinity swimming pool, a tennis court and a garden where olives, oregano, thyme, lavender, bougainvillea flowers and other local plants are growing. 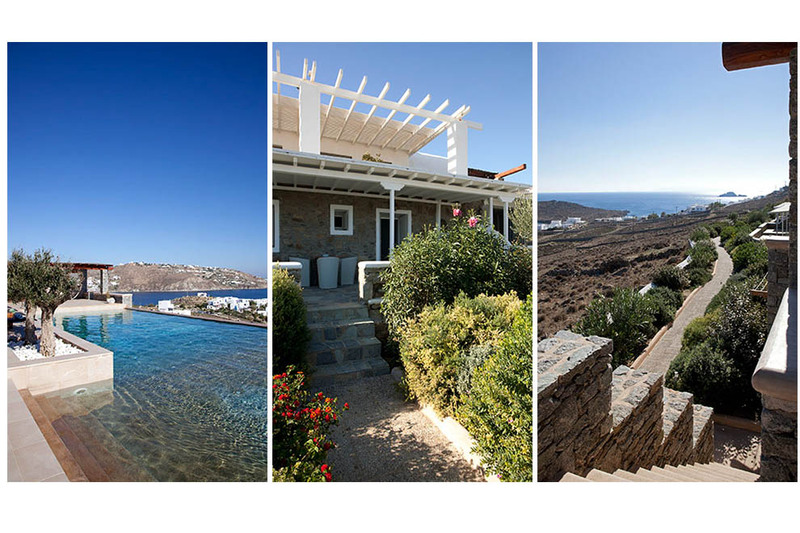 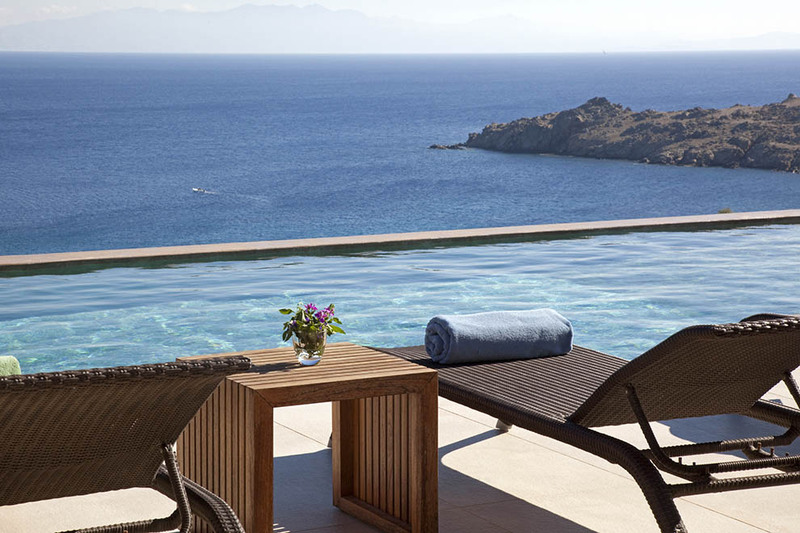 Villa Estrella is a property of unrivaled beauty that is only a five-minute drive away from the famous beaches of Ornos and Saint John and a ten-minute drive away from Mykonos town and the airport. 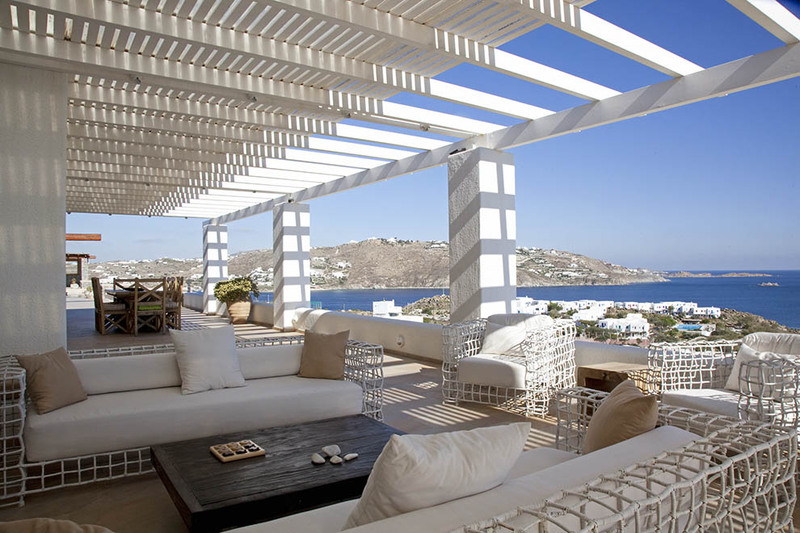 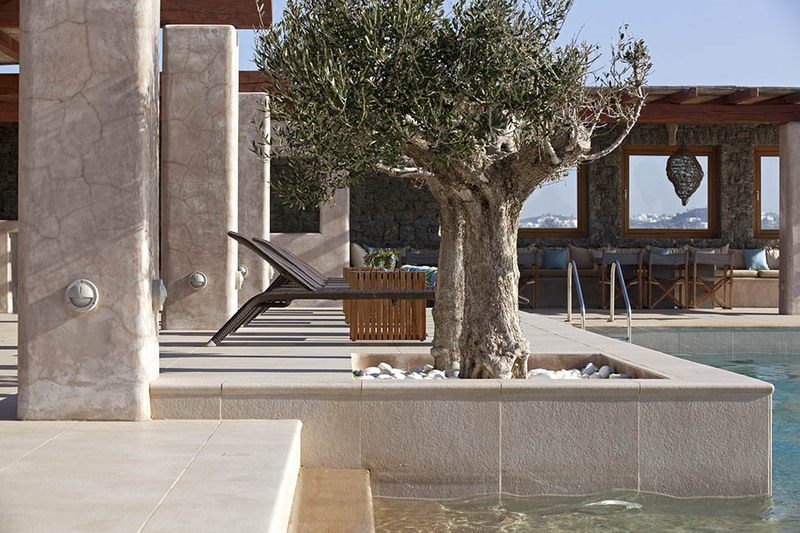 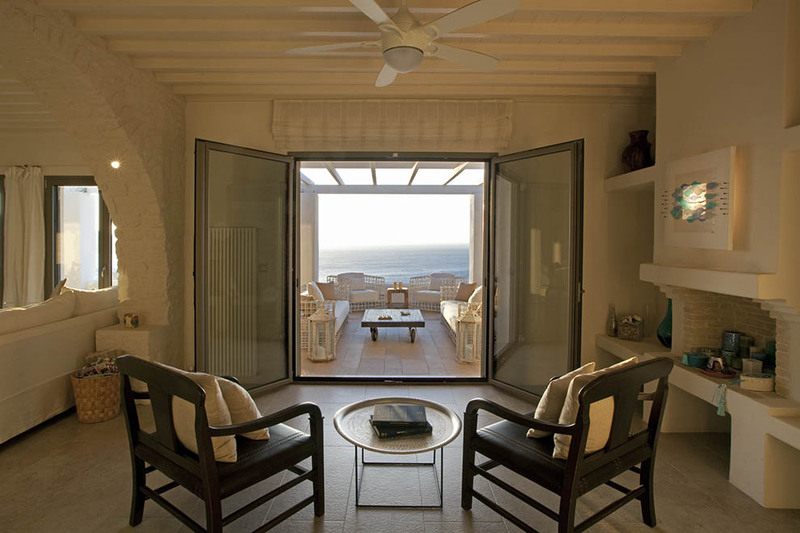 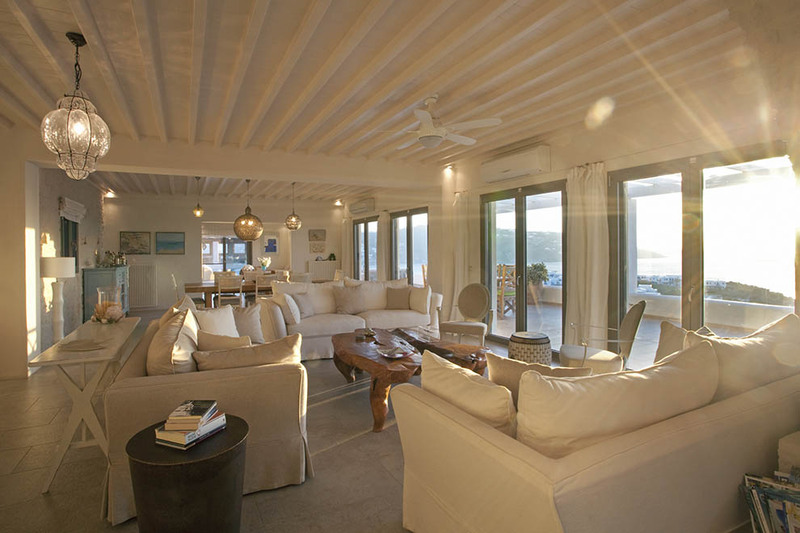 Guests can choose between relaxation inside this exquisite property or the cosmopolitan vivid life of the well-known Mykonos town.